One factor that tends to unite manufacturing companies nowadays, regardless of industry, is that they are struggling to find and hire talent that has the knowledge and skills necessary for their roles. As experienced manufacturing workers are retiring, the manufacturing industry is booming and in need of more employees, and eligible young applicants are largely unfamiliar with the world of manufacturing. This pain is felt across the manufacturing industry but some organizations are more prepared than others. Join this webinar to learn how our client, Chris Allen, North American Talent Acquisition Manager at Vallourec USA Corp. is preparing for hiring in the current job market. • What is the skills gap? With such a low U.S. unemployment rate, local labor markets are saturated and manufacturing companies are facing difficulties in filling both production and skilled jobs. Employee retention becomes a high priority, but retention isn't enough. Companies need to find workers to replace those who end up leaving, while also recruiting for expansions. Hire and retain nurses who represent your brand and your culture. DaVita - a Fortune 500 company, lives its mission. They built an innovative, deliberate approach to nursing selection by targeting candidates most likely to support its culture. The company's nursing branding and hiring strategy have improved nursing performance and reduce turnover. Understand how to “operationalize” culture and its impact on patients and organizational success. Developing and engaging leaders is one of the most important initiatives that companies have and is also one of the most difficult. Renita Jefferson (Director of Talent Acquisition, Leadership Development and Diversity & Inclusion) and Lisa Villao (Director of Talent Development) from American Greetings have spent the last 20 years working to more effectively hire, develop, and engage their leaders. During this webinar Renita and Lisa discussed the American Greetings leadership journey, the obstacles they have faced, and the solutions they use. Research in Industrial/Organizational Psychology now shows that there are psychological traits and abilities that are highly predictive of unsafe behavior, workplace injuries, and worker’s compensation claims. A person's “SafetyDNA” can be measured accurately using the right type of assessment technology.Companies who are able to identify SafetyDNA factors in their hiring process are more likely to have safer workplaces, reduced safety incident rates, and more effective safety leadership. With little new information about combating this common problem, HR professionals are often forced to approach a high turnover rate without a full understanding of the root cause and with tools ill-equipped at addressing the source of the problem. The focus of this webinar is to discuss strategies to investigating turnover in your organization and building a talent approach to maximize retention. How to select for retention. When do selection interventions work to reduce turnover and how much can you reasonably expect to move the needle on your turnover rate by improving your selection system? How do systemic factors within your organization impact retention rates. Many factors from pay rate and benefits package to organizational culture and Supervisor-Employee Fit impact turnover. The presenters will discuss what factors impact retention and what can be done about them. How the external labor market impacts retention rates. Organizations often do not consider the importance of unemployment rates, community reputation, and the availability of similarly paying jobs in understanding turnover. This framework provides direction on what to expect from various isolated turnover interventions and how to structure a multi-faceted, complementary, intervention to improve retention. It's something manufacturing organizations ask all the time: Is it possible to identify candidates who will work hard? Fortunately, it is. 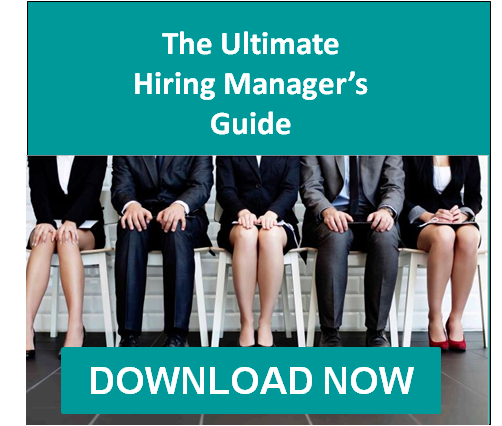 By measuring very specific competencies in the hiring process, you can easily identify those candidates who possess a strong work ethic, and who will likely be dependable and reliable employees. Within your organization, you have great policies, training programs, safety incentives and PPEs. However, you still have incidents and injuries. Why? The truth is, regardless of the environment, training, and tools that we provide to our employees and leaders, they are ultimately the ones who must calculate the risk and decide whether it is acceptable. Sears Holdings Corporation (SHC) is in the midst of organizational transformation and culture change from a bricks and mortar department store chain to a loyalty program and members-based retailer. While changing a large organization’s culture can be a long and involved effort, this webinar will focus on one way to accelerate the change from the beginning, by bringing in new employees who embrace the new culture.